The PODSAC's Ultra Lite Frame Bag is a super lightweight waterproof bag made from ultra durable 210D ballistic nylon and features a waterproof zip and radio frequency welded seams to keep your stash as dry as possible. 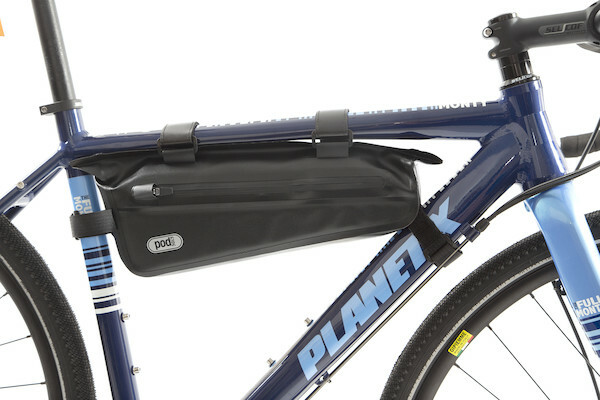 The top tube is the most convenient place to carry the bits of gear that you need most often, the perfect location for your wallet, phone, keys and anything else that you must have to hand during your travels. 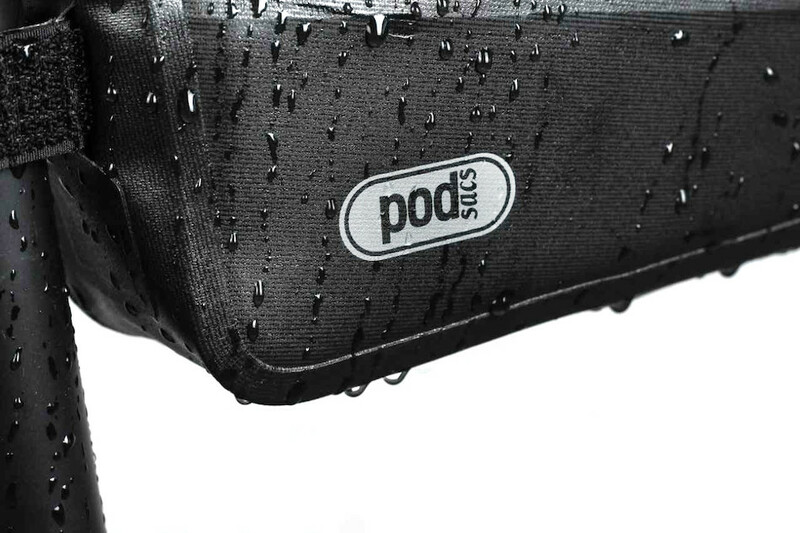 The Ultra Lite is built form lightweight yet durable 210D ballistic nylon; it features radio frequency welded seams and uses a waterproof zip. 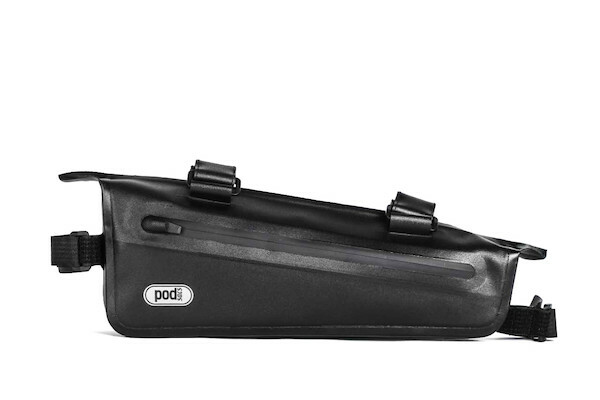 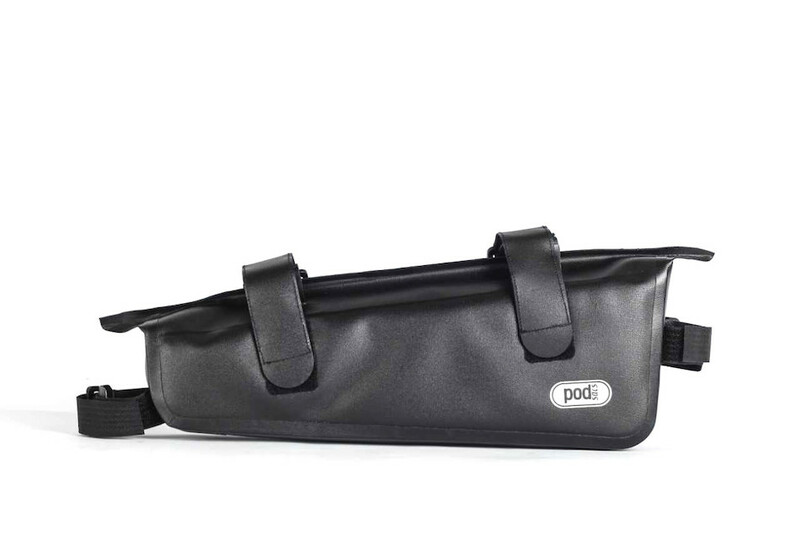 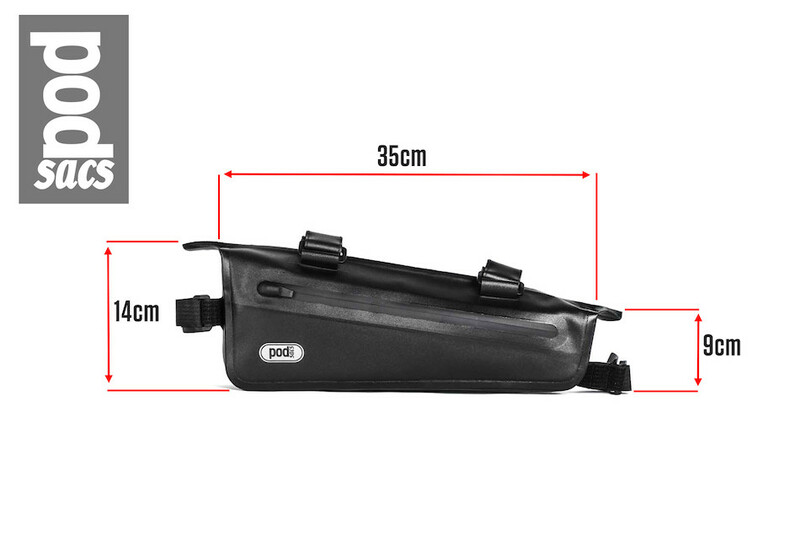 Inside the PODSACS Ultra Lite Frame Bag you'll find a removable padded liner with a defeatable central divider. 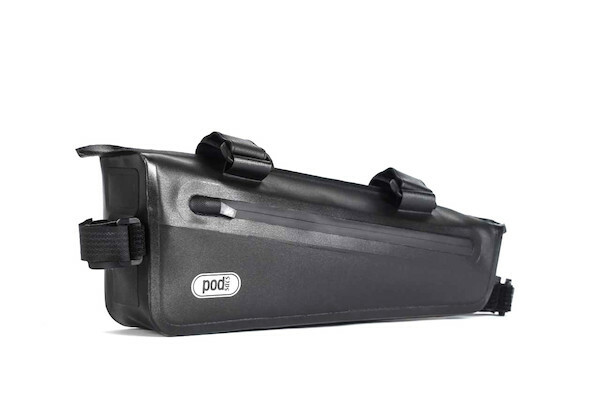 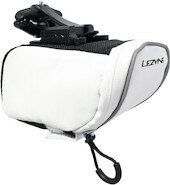 It'll keep your electronics and personal devices safe and protects your top tube from any lumps and bumps. 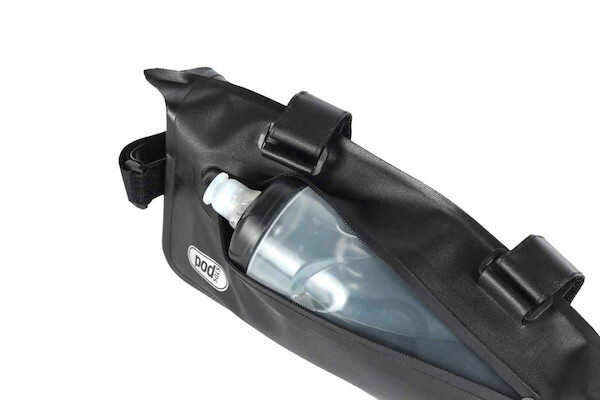 If you're a regular traveller and the sort of cyclist who's always fishing about in their pockets then the Ultra Lite should defnitiely be on your try and buy list.